I found these two honey melters on youtube. They both used litebulbs for the heat source. With any heaters there always needs to be caution so there is not a fire. Always use a licensed electrician to do any wiring. I am not recommending these. I am just showing what other beekeepers are doing. Making any melter that is not UL approved is at your own risk. A manufactured honey liquifier ( ie: Mann Lake, Dadant etc) is still the safest way to liquify honey, while they are expensive, they can give you piece of mind that they were properly designed and safe to use. Two lite bulbs might be too much. I like the thermostat. The maker of the video is a little annoying with clearing his throat. Double click on video for full size. I like this concept but he needs a thermostat for heat control, like the one in the first video. Mounting a light bulb without an electrical box is not a good idea. 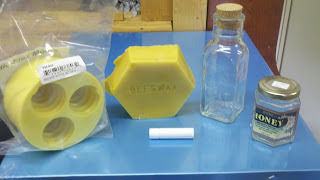 Now is the time that many beekeepers are looking at pails and bottles of granulated honey. The frustrating part about dealing with honey that is rock hard. 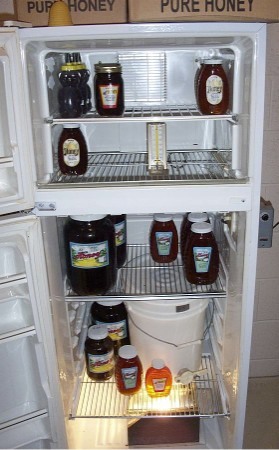 The trick is to warm it up without wrecking the honey. Too much heat can scorch honey and make in unpalatable. Or, heat it and it will darken. There are some solutions. Like bottles in a water bath in a crock pot on the low setting. A microwave will wreck clear plastic containers. Low Density opaque plastic can take the microwave just fine. A bucket heater strap. They work ok. The bucket gets hot and you need to stir it. A honey bottler: These are the best. They cost from $1300 and up. Temperature is regulated with a water immersion heater easy to control and has a no drip fill valve. I own two of these and they work better than anything else on the market today. I like this idea for on the cheap. This gentleman took and old refrigerator and put a 100 watt light bulb on the bottom. Ran it through a thermostat. Sets the thermostat for 100 degrees for bottles and 110 degrees for pails. The pail would go on a shelf in the mid level. A pail would need to be stirred after a while. This should be wired by a licensed electrician.Wiring yourself can be dangerous and you could burn your house down. My last bit of American history. 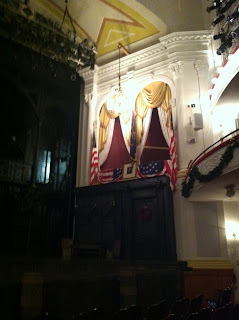 I visited Ford's Theater in Washington D.C. It was here Abraham Lincoln was assassinated by John Wilkes Booth. I had often wondered how Booth could have gotten in to see the President when there were rumors circulating Washington that an assassination attempt was going to happen. John Wilkes Booth was a very famous actor at the time. Akin to George Clooney as a present comparison. To give you an idea how famous he was, Booth made around $30,000.00 dollars the year before he shot Lincoln. Quite an income for the times. Lincoln had at one time sought out to meet Booth, who had no desire to meet with Lincoln. Booth was given permission to enter unannounced, by Lincolns valet who was seated outside the box. Booth quietly walked in and waited for the funniest line in the play to be said and only one person was on the stage at that time. 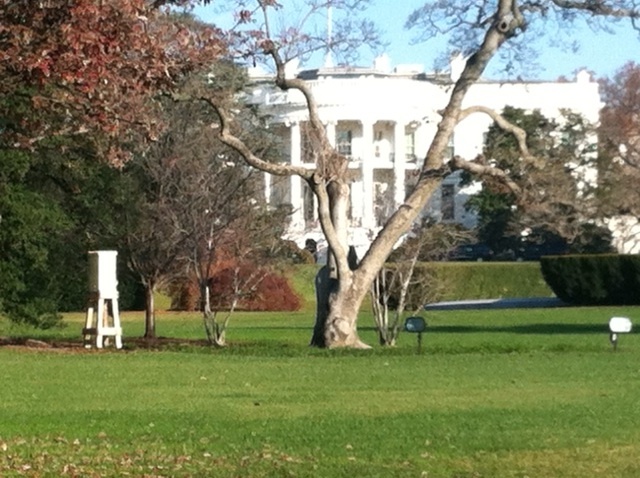 He then made his move to shoot the President at this time of the play. Mrs Lincoln screamed. Booth scuffled with the Presidents guest, an army General. The General was seriously wounded with a cut vein on his arm by Booths knife. Booth jumped from the box to the stage(a twelve and a half foot jump) and broke his leg. He then hobbled out to his horse, injuring three other people with his knife on the way. Booth was found and killed a few days later. His co conspirators were later tried and hung. 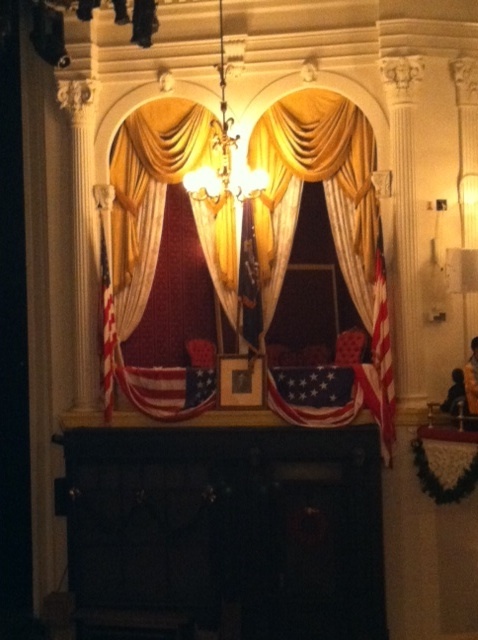 In this picture you can see the chairs, President Lincoln was on the chair on the right, his wife next to him. The General and his fiancee were on the left. This time of American history when our country was divided, at war with itself, and still held a Presidential election is an amazing time and a testament to our desire for democracy. This is a draft wheel. It is about 6 feet tall. Names of possible draftees were inserted in small holes on the wheel. 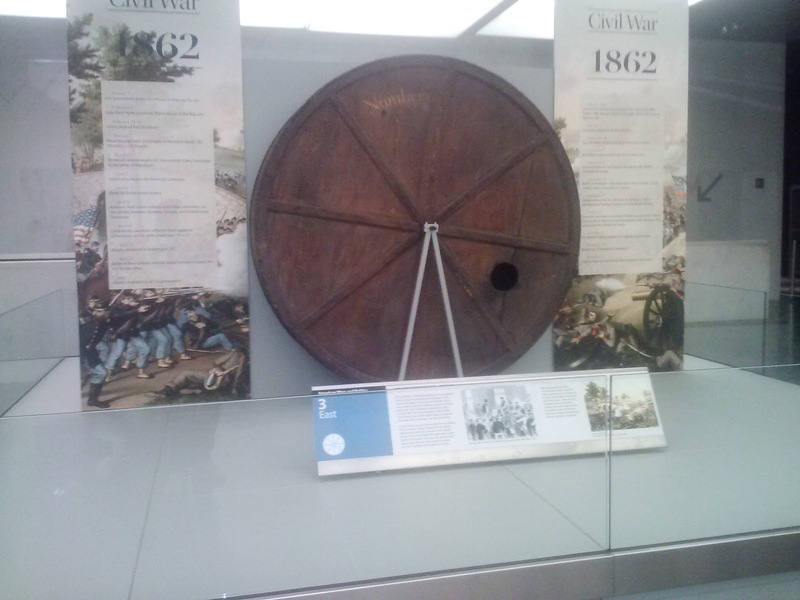 The wheel was spun and names were drawn for soldiers to be drafted into the Union Army during the Civil War. Using a draft wheel was a common practice around the country in the north and the south. The last draft we had a was during the Vietnam war. Many people have forgot about how it worked. Balls were drawn with month then date. The first date was 001 and the last 365 on the draft list. All nineteen year olds were eligible to draft. The military figured how many men they needed and for example would draft through number 125. All the men whose birthdays were the first 125 slots would be drafted. The rest would not be drafted. The following year a new draft was held with the new pool of nineteen year olds. When I was nineteen, my draft number was 083. Enjoyed a Honey. Apple, Cinnamon Crepe with whipped cream, it was fantastic. Walking around Washington D.C. got a good morning pic of the White House Beehive. It was a beautiful morning, temperatures in the 50's. Not much action at the beehive entrance and no supers on the hive. I hope they treated for Varroa. Nature's Nectar LLC will be closed Nov 21st - Nov 25th. If a colony is light on winter stores emergency feeding is in order. I do feed dry sugar using a 1 x 2 frame, putting wax paper on top of the frames and pouring sugar on the wax paper. 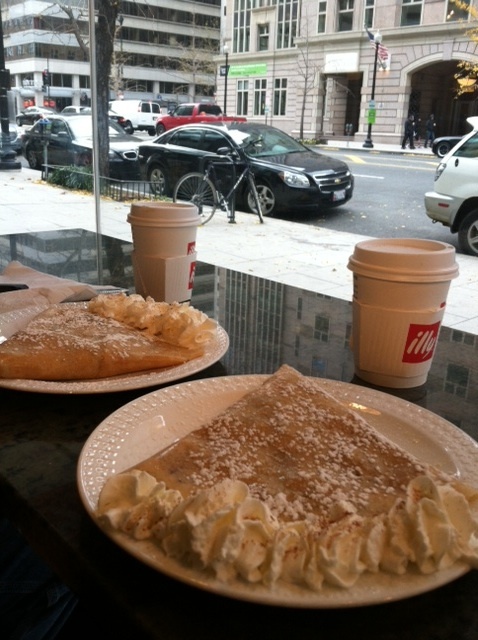 Heaping the sugar on one end, filling up the frame. I leave the end open so the bees can move up into the sugar if they need the feed. The frame does not need the cross supports like in the picture. 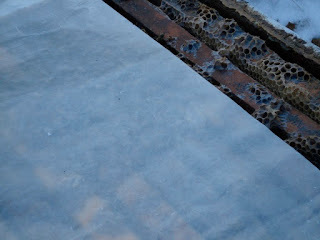 This was a frame for using formic acid pads. But it works well for feeding sugar. It is easy to heap up 10 - 20 lbs of sugar. Sugar can be easily added later if need be. 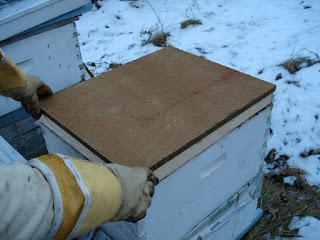 The bees will chew up the wax paper and more will need to be added if more sugar is added later in winter. I do cover the hive with a black winter cover. The hole on the cover usually needs to be elongated to accommodate the added height of the wooden frame. This is the lip balm recipe I use. When ever melting beeswax, caution should be used for possible fire and burn hazards. Melt the wax, lanolin, and petroleum jelly in a microwave. Watch this closely. When it is liquid it is ready. Don't overheat. Add the honey and essential oil. Essential oil of Peppermint, Eucalyptus, Wintergreen or Camphor slightly numb painful lips. Pour it into containers when it cools slightly but, while still liquid. Use a plastic pipette to fill lip balm tubes. Don't use a glass eye dropper. The glass cools the solution causing it to clog the eye dropper. 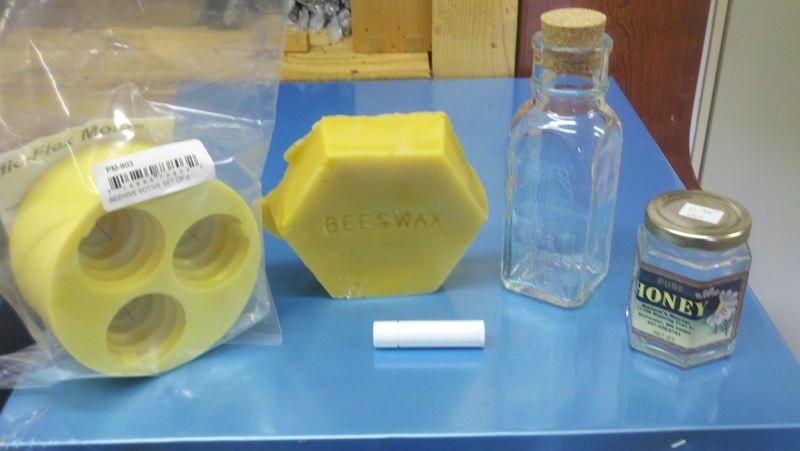 Did you know Nature's Nectar LLC sells beeswax, candle molds, wick, gift jars, and lip balm tubes for making gifts for the up coming holidays. Some beekeepers did not treat for mites and wanted to. The warm weather over the next week can make it still happen. Most colonies should have very little to no brood in the hive right now. Late fall mite treatments can be very effective. With the absence of brood in the colony all the mites are on the bees making them a good target for this type of miticide. Using Hopguard with contact strips right in the cluster of bees should provide a good treatment with only a single application. Hopguard is safe to use and comes from the hops plant. It is considered a food additive. Making Creamed Honey is easy and is a big hit for holiday gifts. Plan accordingly, it usually takes two - three weeks for it to properly set. 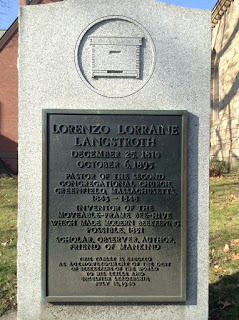 This marker is located at a church in North Boston, Mass. 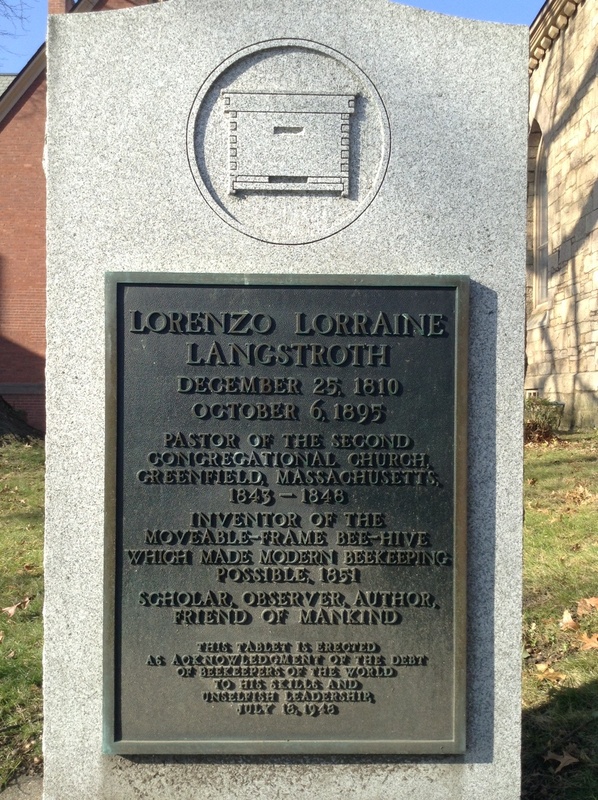 Through Rev Langstroths' diligent observations he gave us the Langstroth hive with movable frames that revolutionized the beekeeping industry. 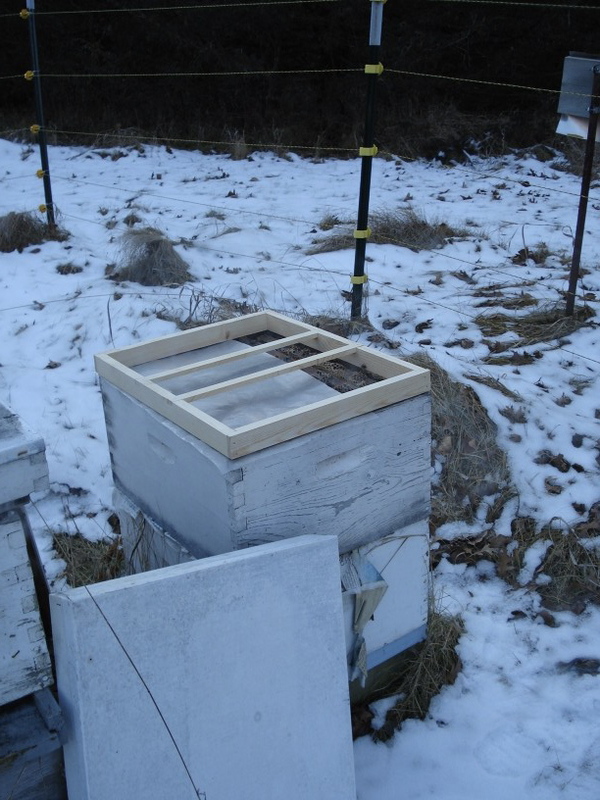 I have received several calls from beekeepers going out to put on their winter covers only to find there are no bees in the hive. The hive was empty, no bees, full of honey. In every case the bees died of Varroa mites. Classic mite kill is in late fall. Varroa builds up with time and in September and October the mite populations explode. The mites become so prevalent that they overcome the colony. The bees know they are sick and will all drift away from the colony over about a two week period. Many of the hives that died were over wintered from last year. Some were new colonies from this year. Some of the beekeepers in these cases did treat for mites but did not treat properly and there was not much effect on the overall mite population. 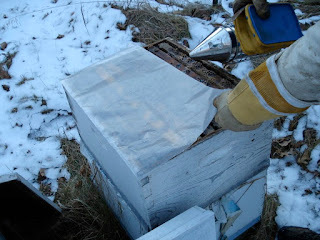 After a mite treatment the hive should be checked again for mites to see how effective the treatment was. 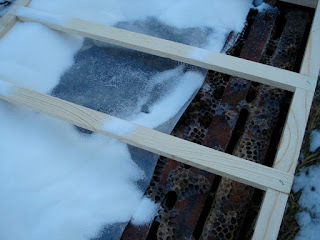 One beekeeper treated his colonies with MiteAway Quik Strips. I think he had about 45 colonies. He checked his colonies after the treatment and found some of the colonies still had some very high mite counts. He had to treat those with Hopguard. But this check saved his colonies. A nation wide study that was completed recently. 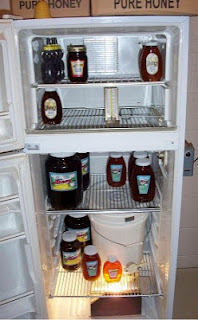 Several bee labs took 30 colonies in many locations around the country. Bees were installed and left on their own with no treatments of any kind. The results were interesting. Most of the colonies were dead after two years. All of the colonies were dead after three years. The research showed that in every case, the bees died of Varroa mites. 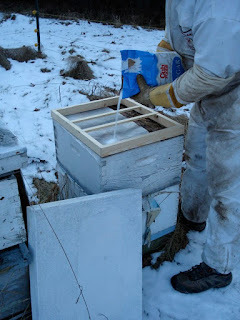 The conclusion is, to check the mite load of the hive and treat if necessary. There are two food grade treatments available that are very safe for the bees, the hive, and the beekeeper.